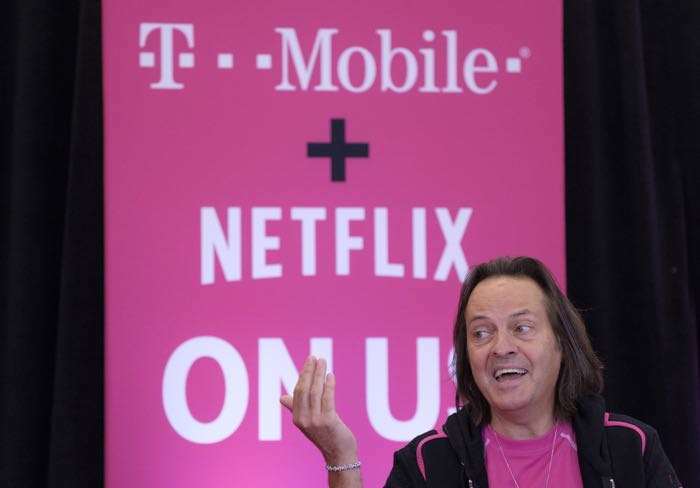 T-Mobile has announced that it is giving its T-Mobile One family plan customers free Netflix. People who have two or more lines on the T-Mobile One unlimited plan will all get free Netflix. The company is giving their customers the $9.99 a month Netflix plan for free, there is also a 4K plan which costs $11.99 a month, if you want to upgrade to this one T-Mobile will charge you $2 a month. Today, there’s the ‘unlimited’ begrudgingly offered by carriers on networks that are struggling under the weight. And then there’s the Un-carrier’s unlimited — riding on the network built for unlimited — that just keeps getting bigger, better and faster. Now, the Un-carrier is going ALL IN on unlimited by adding Netflix — the world’s leading entertainment service — to T-Mobile ONE family plans. Which means anyone with two or more qualifying T-Mobile ONE lines can get Netflix On Us. And T-Mobile ONE with unlimited everything — and now with Netflix included — is still just $40 per line for a family of four. As always, monthly taxes and fees are included. You can find out more details about T-Mobile’s new free Netflix for its One family customers over at their website at the link below.